China has the largest population on the earth at just over 1.3 billion people! That’s close to 20% of the world’s population in one nation. Their economy is one of the biggest and is growing. Because of this there is a growing need for more American students to learn their language of Mandarin to help communications between the two colossal countries. Also, there is a great need for English-speaking American students to teach in their schools. China’s main language is a difficult one to master, however. They do not use letters as many other languages do, but instead use characters. This makes the task of learning how to read and write their language even more difficult. If students choose this route of learning Mandarin, there are countless opportunities for careers once they enter the workforce. From working for the government, teaching in American or Chinese schools, to working with international companies with offices in China, the sky is the limit for students with a degree in Chinese Language. There are also many study abroad programs for students interested in just visiting this immense nation. For more information on study abroad programs in China visit our site Here. One of the best Language Study schools can be found at Middlebury College in Vermont. Their teachers and staff are top professionals in their fields and are dedicated to advance the knowledge of their students. 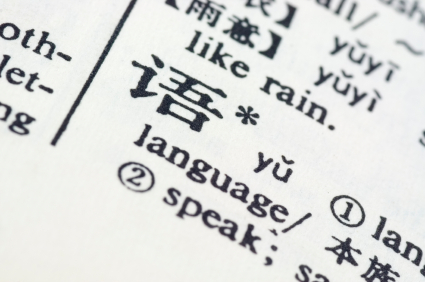 When learning a language, such as Mandarin, you do not simply learn how to read and write it. Middlebury College professors believe that the best way to fully learn a language is by learning how to speak it in context of the culture that the language is spoken in. students studying Mandarin will engage in tai chi, Majiang, cooking, and hiking, all while learning how to speak about every-day activities. Middlebury offers scholarships and fellowships for its students. The Kathryn Davis Fellowship for Peace addresses the critical need for increased proficiency in secondary languages in the U.S. The Davis Fellowship fully covers tuition, room, and board for a student to undergo one summer study of Mandarin. These fellowships are merit-based and only the best students will be selected. Students should also show an interest in international studies, international politics and economics, peace studies, or conflict resolution. The Center for Applied Second Language Studies (CASLS) at Oregon University believes in three things: all students have the ability to learn a second language and should be provided with the opportunity; meaningful communication is the purpose of language learning; teachers are the solution, not the problem. Their language resource center is led by nationally and internationally recognized language professionals to improve the learning and teaching of foreign languages. Oregon University participates in the Oregon Chinese Flagship Program which sets out to give undergraduate students the chance to attain professional-level proficiency while getting academic credit at the same time. Those at the top of their class are encouraged to apply to become a Flagship Scholar. Students chosen for this rigorous program must have a GPA of 3.25, submit an essay, and be recommended by a professor. You will engage in experiential learning opportunities, study overseas and prepare for national level certification. The University of Iowa’s Asian & Slavic Languages and Literatures strongly encourages students to study abroad. Their Chinese study abroad program in Tianjin is for students who have completed anywhere from one to three years of Chinese language study. This program combines field trips with classroom instruction and other extracurricular activities to give students the best opportunity to master the language. The Cheng/Liu Summer Scholarship is for students who want to spend a summer semester studying the Chinese language in America or China. Students will participate in a rigorous language study program for one summer- students are required to take a full academic year’s worth of courses. This merit-based scholarship provides $1,000 in funding to only the most qualified of students.